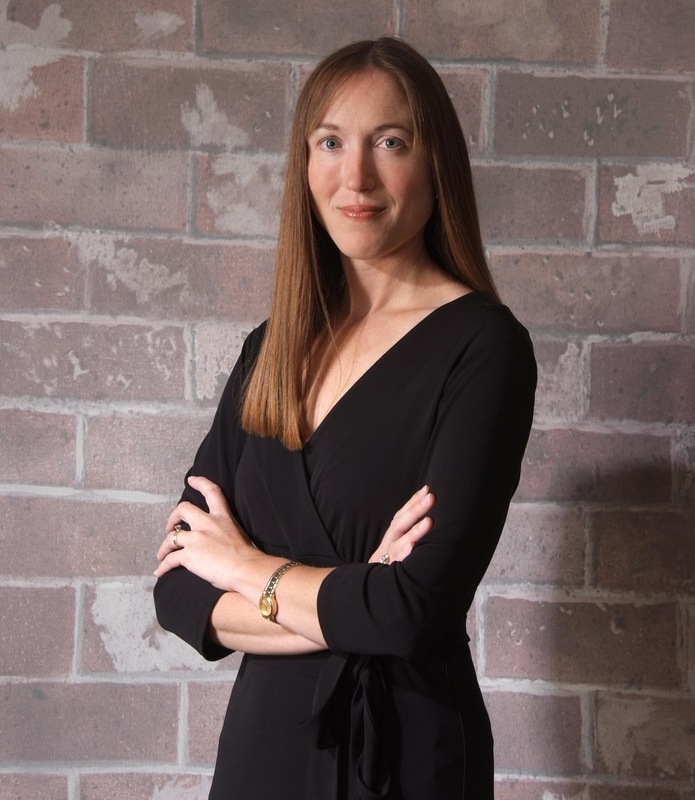 Writers In The Storm is delighted to welcome Elizabeth Craig/Riley Adams for this week’s Sensational Summer Friday guest post. I’ll confess I let out a huge SQUEEEEEEEEEEEE when Elizabeth agreed to be here. Why, you might ask? The real story goes back to early January when a tired new mom and battered writer (that would be me, Jenny Hansen) decided to get on Twitter and try it out for a work project. Elizabeth found me, floundering, on the second or third day. With a gentle nudge and a kindly explanation of Twitter terms, she put me on the path to Twitter Nirvana. I was so excited with the whole app, I started writing Twitter posts like a possessed cyber geek hopped up on Red Bull. Elizabeth was my first Twitter friend. She’s one of the most generous writers and all-around-great-Tweep that I know. Plus, she knows a heck of a lot about writing mysteries. When you’re done with the post, be sure to read her bio at the bottom, go to her blog and check out the Writer’s Knowledge Base. Oh, and don’t forget to comment…we love hearing from you, and Elizabeth will be popping in. Book middles can be tricky—especially for those of us who aren’t fond of outlining. There you are, in the dead-center of your book, and you feel like you’re not real sure what direction to take next. This is usually when the deadly Shiny New Idea syndrome (SNI) sets in. Your manuscript doesn’t feel very exciting anymore, your characters aren’t quite as fascinating, and you get an amazing new idea…for a totally different project. But don’t give up on your manuscript yet! It’s important to show yourself you can finish a project, especially if you haven’t been able to complete one. Increase the stakes: This is my favorite fix for sagginess. If you’re not feeling excited about your book and your characters are just milling around, your readers probably won’t be too interested in the plot, either. But if you can up the ante, it really makes a difference. I almost always have a second murder right in the middle of my book. Now my poor sleuth has a couple of murders to investigate—and if she doesn’t get cracking, there might even be more. You could increase the stakes in different ways, of course. Basically, whatever your character wants most could be threatened or pushed even farther out of reach. Or make them afraid of something and present them with their fear. Deepen the trouble they’re in. Reveal a secret or slip in an interesting, previously unknown character tidbit: Secrets are always fun. They can help provide a little backstory for a character that needs her motivation explained. They can keep readers guessing. They’re gossipy, surprising, and just right for saggy middles. Put your protagonist under pressure or give him a setback: This is similar to increasing the stakes, except it doesn’t have to be tied into the main conflict. You could put pressure on a character by making them lose their job, have an elderly relative move in with them, or by the loss of a friend. Work backwards: If you know how you want your book to end (but aren’t sure exactly how to get there) you could write your story backwards, working toward the middle from the end. Introduce a new character: This character could be a helpful sidekick or could be someone who creates tension and conflict for your protagonist. Work on your subplot: I love subplots. They help develop characters and create an alternate storyline for the reader to keep up with. They’re especially fun when they tie into the main plot in some way. If you’re stalling out with your main story, work on your subplot for a little while. That way, you’re still moving your story forward, but you’re doing something new and fresh while you recover from main plot burnout. Contradict a truth: Is there something you’ve set up in your story to be an absolute truth? Something your protagonist believes is an established fact? Contradict it. I nearly always kill the most likely suspect for my mystery’s first murder. Put the book away for a month. Set a deadline for yourself to return to it and a reward for yourself to ensure that you do. Read the book up to the point where you left off. Can you brainstorm 20 different directions for the story to go in? Can you brainstorm 50? The possibilities can be as zany and improbable as you want—the point is to get your brain pointed in a creative direction with this particular story again. Out of all the ideas you came up with, which is more concrete, more viable? Write the back cover copy for your unfinished book. Give outlining a go. Even if you’re not an outliner, this could work—try writing a brief synopsis of what you’ve already written…it might remind you what your focus or theme is. Or write a set of mini-outlines each day, just outlining the scene you want to write for that day. That’s also very effective for squeezing writing into busy days. You’d just sketch out what the characters need to do, where the scene is set, and what the scene is going to accomplish. Got a saggy middle? What fixes have you found? 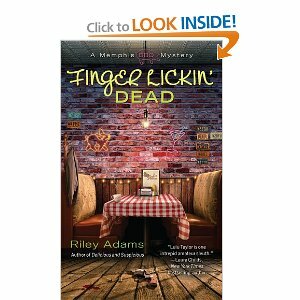 Bio: Elizabeth’s latest book, Finger Lickin’ Dead , released June 7th. 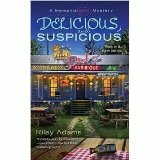 Elizabeth writes the Memphis Barbeque series for Penguin/Berkley (as Riley Adams), the Southern Quilting mysteries (2012) for Penguin/NAL, and the Myrtle Clover series for Midnight Ink. This entry was posted in Blogging Guests, Craft and tagged Delicious & Suspicious, Elizabeth Craig, Elizabeth Spann Craig, Finger Lickin' Dead, guest post, how to fix your novel, Jenny Hansen, Riley Adams, sagging middle, Shiny New Idea Syndrom, story structure, the dreaded sagging middle, WKB, Writer's Knowledge Base, Writers in the Storm, writing, Writing Craft. Bookmark the permalink. Work backward? I’ve nearly thought of that. It’s interesting. Perhaps I can try this next time and see how weird the story will become. Give it a go, Enid! Sometimes when I’ve done it, I had to go back later and fix the transitions, but it still worked really well, plot-wise. You always have such interesting articles on your blog. Many thanks. I enjoy their posts, too! 🙂 Thanks for coming by. Thanks, Linda! We write our posts for comments like yours…they make us happy all week long. Thanks! Great tips. Mine is simmering for a while. I hope to find a spark to keep going soon. Thanks for this. Hope you’ll find the spark and keep on working on the manuscript! Good luck with it. Yup, I’m in the middle of my wip, and the fun, new project I started during an online workshop is looking so attractive, hehe. All your suggestions for escaping the doldrums are excellent. Thanks to this post I now have an idea of where to take my characters. Yippee! I’m so glad to hear that, Grace! Have fun with your story! Wow. What an incredible treasure trove of ideas!! I LOVE the “contradict a truth” suggestion. I just may play with that a bit. Great post. I’m bookmarking it! Thanks so much for hosting Elizabeth today! Margot–I love the idea of putting the sleuth under suspicion. Then you’ve got tension building because there’s been another murder *and* because the protagonist is endangered. Great idea! Love this post. I don’t use outlines, though after writing two mysteries without outlines, I can see the wisdom in it. But when I get stuck in the middle, I try outlining from that point on. Okay, usually by this point I know where I want it to end. So I write a sentence or two in each chapter between the middle and the ending. I work with that, but usually it gets changed around a bit. I always outline – wouldn’t know what I was doing otherwise. Never thought of working in reverse. I did place one of the biggest action scenes in my next book right smack in the middle though! Alex–Sounds like the perfect place to put it, to me! And….I wanted to give a big thanks to everyone at Writers in the Storm for hosting me today! I appreciate it. 🙂 And thanks to Jenny for such a warm intro! I’m glad you’re my Twitter friend. Elizabeth, you never fail to deliver on your blog posts. I am following the suggestions from one of the many articles you’ve shared with us via twitter: drawing my story arch on a horizontal line, and drawing it as an arch. It’s a reminder to me to build up to the middle, so it doesn’t sag. Hi Shawn! Thanks for coming by. Drawing a story arch is a great way to keep up with plot progression, pace, and conflict. Glad it’s working out so well for you! Just to say that Elizabeth is the most generous of Twitter people, really worth following. A wealth of links and help. So much to admire! Just wanted to say thank you in a public place! Thanks so much, Milla! I really appreciate it. Hope you have a great weekend and best wishes with your writing! Hi Jemi (love the name BTW)! It’s great to meet you too. You can usually find me here at WITS or over on my site at http://jennyhansenauthor.wordpress.com. “She’s one of the most generous writers and all-around-great-Tweep that I know. Plus, she knows a heck of a lot about writing mysteries.” That is so true – and once you have written a story or two, she treats you as if you are an equal! Dorte–Of course you are! And you can write rings around me in the short story department. I don’t know how you did it. I’m sure your protagonist just *loves* me for making the suggestion. Ha! Helpful post. Thank you. For me, often the trick is to have my character have an ah-ah moment that puts an entirely different slant on the problem at hand. Setting the book aside for a month is the most difficult for me. I either want to get back to it or I lose all enthusiasm for it and all and leave it for longer than a month. CC–It’s a little risky for an unfinished book. That’s why I think we need to make the reward we give ourselves for picking it back up a nice one (doesn’t have to be an *expensive* one, but just a treat we’ll enjoy.) I think it also helps if you plan what you’re going to do when you finally read the book again. Maybe breaking down the reading of the book into sections and scheduling it into our calendar in small bites. And do whatever we can to make the process of re-reading it easier–that may mean having a print-out of the doc in our car, uploading the doc to our Kindle to keep in our purse, or even uploading it to our phones, using a free app called Evernote. Just whatever we can do to facilitate reading it. Got me thinking about few instances, where my protag suffers setbacks. About writing backwards: even though I know the ending, I can’t fathom how writing backwards is done. Any tips? Thank you so much for this post – I was just trying to work out what I could do next to a heroine I have already treated quite badly, and your advice to ‘raise the stakes’ gave me an immediate idea that was so unexpected it gave me quite a fright, as I think it will transform the novel completely. A natural disaster might work for a saggy middle, depending on the locale – fire, flood, tornado. Thank you so much for these great ideas! I’m forcing myself to finish my WIP with all kinds of tricks, including looming public humiliation for failure, but I have 3 new ideas (SNI) itching my brain. I’ve been ignoring them, but like poison ivy, I think they might be spreading. I might just write the epilogue today and work backwards as you suggested. Thanks! J Monkeys–Hope that will help! SNI is dangerous, but working backward can be distracting enough to keep you focused on your current WIP! Thanks for those encouraging words! And by the way, I love your Tweets, since they always have links to such good info! So appreciated!